Not only is technology developing rapidly in today’s society, but the ways in which it’s used to tell stories and deliver news are also changing. Matt Sheehan, director of the Innovation News Center (INC) at the University of Florida’s College of Journalism and Communications, is experimenting with this reality. Through a partnership with anonymous messaging app Yik Yak, Sheehan and his colleagues at the INC are working with Yik Yak to produce a customized content feed for local Yik Yak users. 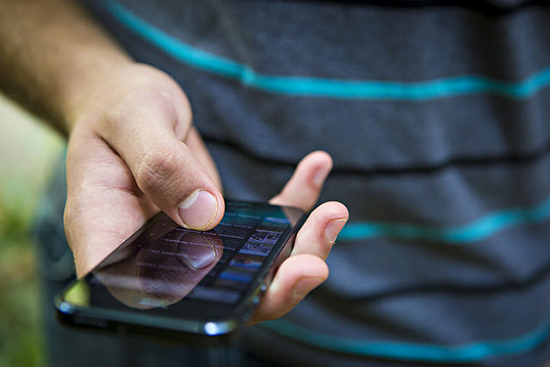 And while Yik Yak’s entrance into the social media world has been met with controversy, Sheehan believes the service can be productive for news production and consumption. The feed, called “Swamp Juice,” is available as a “Peek” to any Yik Yak user near the University of Florida campus and is delivering local news, alerts and opportunities to the campus community. The partnership is coming up on two months since its launch. EducationShift talked with Sheehan about the successes and challenges of the partnership, what it means for news today and how other schools can implement similar initiatives. 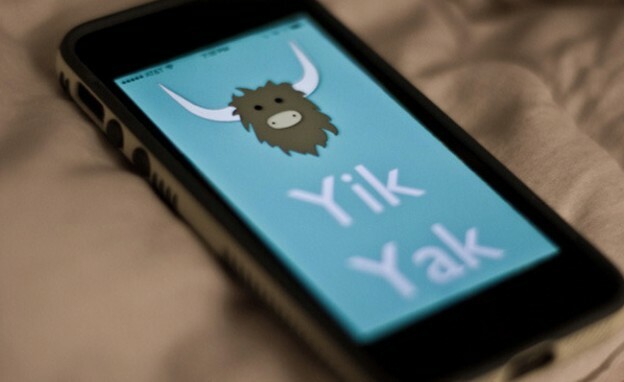 What inspired the University of Florida to pursue a partnership with Yik Yak? How is this platform relevant to news production? 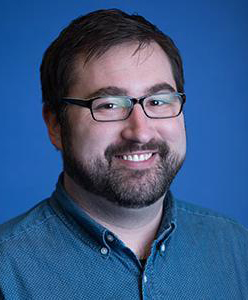 Matt Sheehan: We’ve been chatting with Yik Yak for a couple of months now, exploring possibilities and working with their infrastructure and development teams to do this local newsfeed experiment. They seem to be really excited about the prospects of working with a large university and a news organization like the Innovation News Center, as we are equally excited about the prospects of working with a forward-thinking platform like Yik Yak. Perhaps more importantly, as we’ve seen recently with publishers hosting content directly on Facebook, news organizations have to get in front of audiences where they are. And to reach millennials, in particular, we think you should be providing content on these platforms. Our College’s mission is to not only provide training in the existing forms of good journalism, public relations, advertising and telecommunications, but also to explore the intersections of where all of those disciplines meet, as well as experiment with emerging platforms. Our INC’s mission is not only to serve our community and our students in the educational sense, but also to serve our industries in being a guinea pig or test case for what’s coming next. And with Yik Yak’s emergence on college campuses, we are in a unique position in that we have thousands of young people in our audience. And while many news organizations have that, we are tied into them because they are also the majority of our staff. So, we hear about Yik Yak, our news managers start using it, and it’s really a great tool for listening. I’ve used the analogy a couple of times that Yik Yak is “the new town square.” And it really is. We use the feeds for breaking news. For example, a couple of months ago, there was a shooting at Florida State University. Yik Yak is how we first found out about it. It wasn’t the wire service, it wasn’t trending on Twitter, it wasn’t someone calling in — it was on Yik Yak where University of Florida students were sharing concern for their friends at Florida State University. And it was kind of a unique thing given the FSU vs. UF rivalry. We’ve seen that grow, so any incident on and off campus — there was smoke at one of the libraries the other week — we often hear about it on Yik Yak first. We really wanted to be a part of the platform and to try to determine if there is a place in a hyperlocal, short-form messaging platform for a news organization beyond just listening. So can we also contribute to the conversation? And that’s really what we’re experimenting with now and excited about using the tools that Yik Yak is developing. As we saw the evolution with Snapchat where news organizations became part of the platform, I think we’re in the very early stages of figuring out what media organizations can contribute to the Yik Yak platform. So we’ve created a “Peek” called “Swamp Juice” that provides Yik Yak users in and around the UF campus with news and information throughout the day – in 200-word bites. How is this partnership being integrated in UF journalism curriculum? MS: We’ve baked Swamp Juice maintenance, curation and execution into the newsroom lab shifts, so it’s a part of our daily operations within the Innovation News Center. The INC is a newsroom that serves all of our media properties — both terrestrial broadcast and digital — so, we have the NPR affiliate, the PBS affiliate, and the ESPN affiliate all serving 19 counties in north-central Florida. We’re really committed to being on all platforms — digital, as well as terrestrial — and really, really focused on building our chops in mobile. We’re in the process of redesigning our digital properties to be much more mobile-first and build from mobile up, not from desktop down in a responsive way. Experiments like Yik Yak become part of our producing and our news desk operations. Because we launched midway through the semester in the spring, we tapped two graduate students –- Whitney Lavaux and Kelly Audette –- to manage the feed and to try and grow the policies, procedures and the tone and voice. Now that we’re in summer, we have our web-producing students (which is our old editing class), split three rotations throughout the course of the term. They spend four weeks on breaking news, four weeks on web editing and four weeks at our social desk. And that is where they’re working on our push products, email, social media and now we’ve baked Yik Yak into that. During their weekly six-hour shift, they’ll come in and they’ll do all that work, creating five or six potential Yaks for the day. We try to average about 20 planned Yaks during the course of the day spread out between different time frames. We hit the morning hours while people are getting ready to go to class, and then we kind of go dark in the afternoon because Yik Yak has shown that there’s not a lot of engagement then, and then at about 6 or 7 p.m., it picks back up. That’s kind of how we’ve planned the content. The platform itself is still really new, and they don’t have a lot of tools for external partners to contribute content, so we are actually using old school Google Docs and sending the planned Yaks to Yik Yak a day before for them to schedule. And now we have the ability to post more breaking Yaks. We don’t have a set number of those every day because it really depends on what’s going on, but we do have that ability. What successes and challenges have you experienced thus far? MS: We’ve had both. In the first week, we saw — without any promotion, announcement or guerilla campaigns — about 10 percent of the Yik Yak users actually engaging in the Swamp Juice news feed. So, we were really proud of that, but we’re still tracking more long-term numbers. One of the challenges is that many of the users on Yik Yak are not actually familiar with the Peek feature — even though there’s a huge button at the bottom — which allows them to see Swamp Juice. So when students go on Yik Yak, they are very familiar with their location- or home-based feed, but what many don’t realize or haven’t explored is that Peek function I think that confuses some folks because a lot of people thought that with this partnership, we were actually controlling the main feed, and we’re not. That is still contributed to by the community. It’s not curated or editorially shaped, but the Swamp Juice peek — which is only available if you’re on the UF campus — is completely controlled by us. So all of the Yaks that appear on that feed come from our newsroom, and it’s a mix of local news, international news, stuff we consider harder news like politics, to things like an alert that Burrito Brothers is giving out free burritos. So it kind of blends that line between news and promotion, and it gives us an opportunity to really see how far service journalism can take us without breaking into advertisement. We will select things that we want to highlight, and we’ll never put a message out because someone tells us to. We’re still selecting the promotional Yaks. We do have a feature where our community can alert us to things. At the top of the feed, there is an email address to send alerts to. We’ve had a couple of folks contribute to that. But that’s the kind of stuff that we’re really able to test and to build. Photo by CAFNR on Flickr and used here with Creative Commons License. More specifically, what ethical concerns arise with this particular medium? MS: We think concerns (about Yik Yak) are a perfect reason for why news organizations or media organizations should be on this platform — because we can serve as that watchdog. Now, with that said, the community itself does a pretty good job of content policing. At any given time on the UF feed — I haven’t spent a lot of time on other schools feeds — it’s a remarkably supportive community. And it’s a community that really comes together and polices itself. Yes, you’re going to see some bad stuff, but there’s also the good things that nobody really talks about. I’ve seen, particularly around times of finals, a number of Yaks from students confessing that they are in crisis, and they are having trouble dealing with the stresses of life and school. And there is a community outpouring within minutes. There will be dozens of responses in support and sharing information of resources that are available on the campus, and if there are trolls, they quickly get downloaded and are chastised by the community. And we see that in a couple of places — if there are messages that are slightly racial or derogatory, the community really does police itself. That is really the best thing about that platform and what’s really not seen or recognized in some of the early press of Yik Yak. We saw the same kind of degradation of the Twitter platform, and now Twitter has become a tool for news and a critical component of how we communicate on the internet. What Yik Yak does is it really takes that and brings it right around you and to your community, and because it’s anonymous, the Yak itself rises and falls on the merit of the content, and not who wrote it. What developments or innovations are you looking forward to into the future with this partnership? MS: I’m really excited about just working with a platform like Yik Yak, and the fact that we’re really one of the only institutions of higher education –- or any news organization — that’s doing that for an extended period. At the time we publicly launched our partnership, Yik Yak had created a Peek feed for Bleacher Report and they were curating feeds during the NCAA tournament, but we are one of the few ongoing projects that we know of right now. And we’re really excited about working with them and their platform team and their folks. Their location in Atlanta makes them a little bit different than a lot of the other big platforms that are out there, most focused in Silicon Valley or out west. So there’s that proximity, which is good for us. But Yik Yak is really collaborative in what they’re doing, thinking and being. They seem to be as excited about this partnership as we are with them. What advice do you have for other journalism programs who may be interested in implementing similar alternative storytelling platforms? MS: Just get in there and play. You have to. To understand it, you have to be a user, and you really have to jump in. Before we even thought about this partnership, I and my fellow news managers were on Yik Yak — the running joke in the newsroom was that we were probably on more than the students. We definitely had some very early adopters and some very heavy users among our students. And it’s a collaboration process with students in listening and finding how they use the tools and what the tools can be used for, and then helping them apply more of a journalistic approach to it than an entertainment approach, which so many folks use Yik Yak for now, as we found in the early days of Facebook and Twitter. Maybe not everyone is able to participate in being and listening on those platforms as much as we are right now — I’m not sure where they are in their development pipeline with opening these sort of features up to other media organizations or journalism schools — but just engaging and monitoring that is important. So take time to learn what the norms are for the platforms and don’t be afraid to jump in. Meagan Doll is a senior at the University of Wisconsin-Madison studying journalism. She is an intern for the EducationShift section at PBS MediaShift.